January 20th marked two years since Donald Trump took office as the President of the United States. During that time, his administration as well as state and local governments have made a disturbing number of attempts to stifle and misrepresent science. To date, the Silencing Science Tracker from Columbia’s Sabin Center for Climate Change Law and the Climate Science Legal Defense Fund has documented 287 government attacks on science since the November 2016 elections. When the Silencing Science Tracker launched in January 2018, it included 96 attempts by the federal government to prevent or restrict scientific research, education, or discussion. In September, the teams expanded the database to include state and local actions. The tally has grown at an alarming rate in the year since the tracker went live. The tracker collects media reports of anti-science actions ranging from government censorship and research hindrance to personnel changes, budget cuts, and more. Webb says the database is used by journalists, non-profits, educational groups, and even government workers. 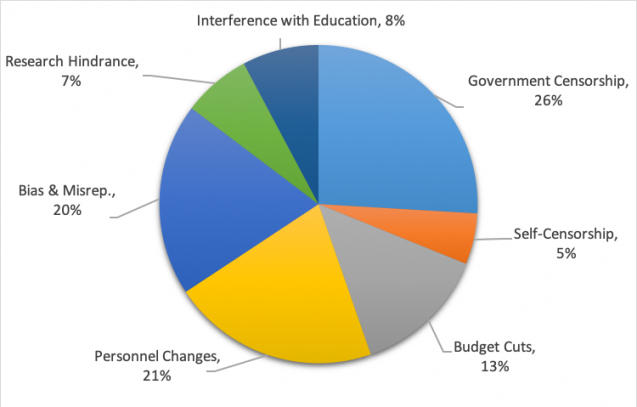 The federal government is responsible for 188 (66 percent) of the 287 anti-science actions documented so far; 31 percent came from state governments, and 3 percent from local governments. 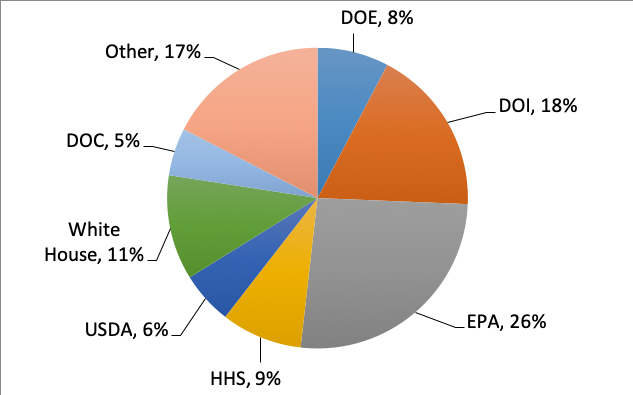 Of the federal agencies, the Environmental Protection Agency is the worst offender; it’s responsible for 26 percent of the federal-level entries. Over the past few months, the team has been observing a growth in its Bias and Misrepresentation category. 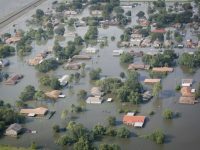 For example, when the administration released the National Climate Assessment in November (on Black Friday—likely an attempt to stifle its findings), a spokesperson for the Trump administration mischaracterized the report’s findings as only representing the “based on the most extreme scenario,” claiming that it overstated the risk, when in reality the assessment describes a variety of scenarios. With just a few years of data, “it’s difficult to draw firm conclusions or make predictions,” says Webb. But she suggests that the Trump Administration’s earlier pushes to censor science, scrub climate change from government websites and reports, and cut funding for climate-related projects may have paved the way for the recent growth in bias and misrepresentation. After undermining the public’s science literacy, she says, “the administration is free to say what it wants. That is a disturbing trend we’ve seen during the first two years of the administration. And at the moment, the signs are that it won’t stop anytime soon.” However, she adds more optimistically that the new Congress does provide new potential to push back against the onslaught of attempts to silence science.